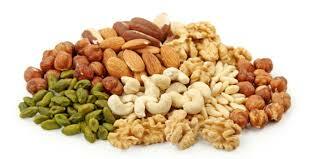 / Nuts – Fat & High-Calorie Or Nutritious? Fruit: The real king of sweeteners, fruits can sweeten up any cereal, smoothie, or dessert. Whole dates, bananas, and fresh fruits of all kinds provide nourishments, natural sweetness and hearty flavor. We would all benefit from filling up on fresh fruits instead of sweetened goodies and drinks. Honey: Still one of the best sweeteners nutritionally and cost-wise. Always purchase “raw” if possible, as most honey is heated to the degree of killing vital nutrients in order to keep it liquefied. Pure Maple Syrup: This boiled down sap from the maple trees does have many nutrients, though grade B is higher in nutrients (and is less expensive); great on cereals, (hot or cold), in smoothies, frozen desserts, and baking. Brown Rice Syrup: This syrup is about half the sweetness of honey and is great in recipes where volume is needed but not the sweetening (see recipe below). Stevia: Comes from a plant leaf which you can grow and is about 200 times sweeter than sugar. Stevia is great for balancing the adrenals, so is beneficial for blood sugar issues. With minimal processing it can be used in a liquid or powdered form. It is a healthy, no-calorie sweetener and used most often in warm herbal drinks, frozen desserts & smoothies. Molasses: Liquid made in the sugar making process. Blackstrap Molasses is what is left after all possible sweetening is removed, and is an excellent source of minerals: iron, magnesium & calcium – great as a supplement!